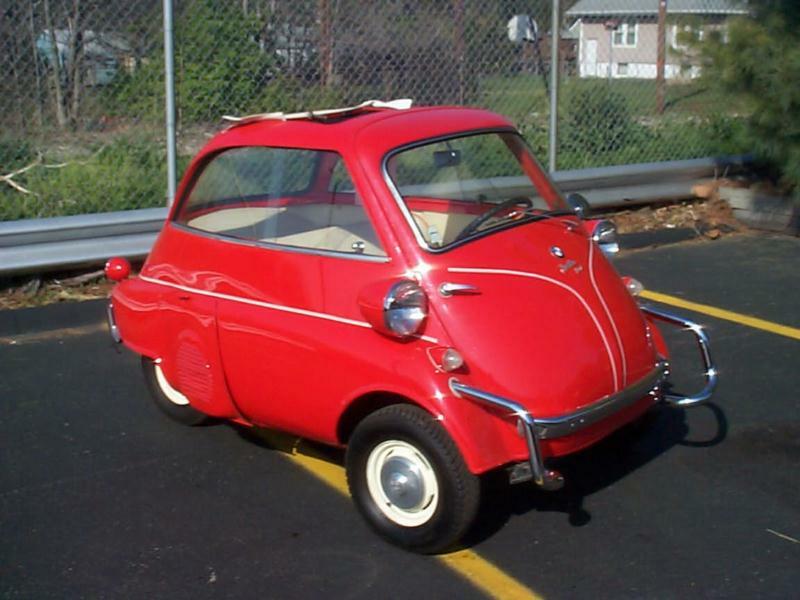 Renzo Rivolta was an early adopter of the inventive bubble car style in 1953. 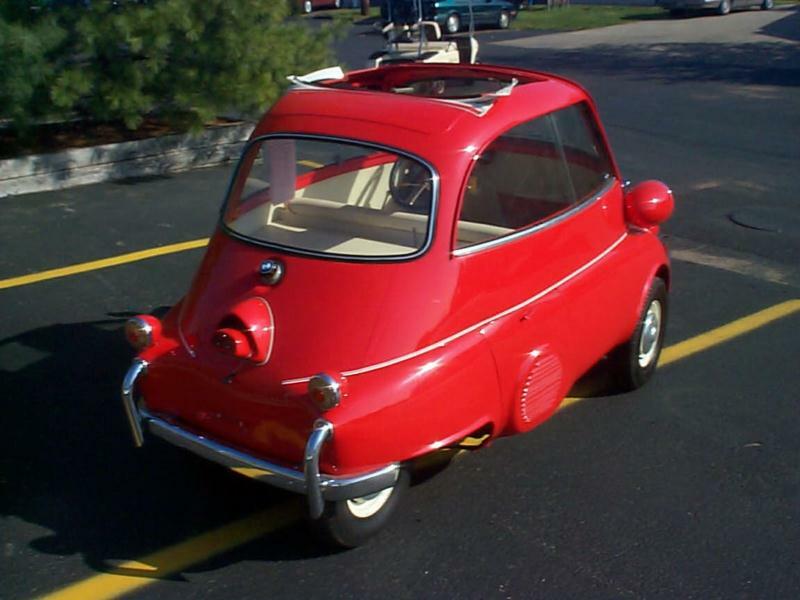 The Iso refrigerator magnate created an odd four-wheeled, two-seat Isetta that was powered by a 236-cc, two-stroke twin-cylinder engine. The car was cute and quirky, with a steering wheel that hinged outwards with the front -opening door (a la a refrigerator, naturally). In 1954, Rivolta sold sold the whole works – tooling and all –to BMW, who was looking for an economical car with mass appeal to combat the company’s bleak financial picture. Out went the two-stroke twin and in went a 250-cc motorcycle engine. In 1956, the first full year of production, BMW sold 22,000 Isettas. Encouraged by the results, the engine was bumped up to a 297-cc four-stroke single, which turned the car into reliable transportation that was capable of 50 mpg at 50 mph. By 1962, BMW had built 161,728 Isettas, with 41,000 more constructed under license in other countries. BMW soon altered the window arrangement to permit sliding side windows and reduce the goldfish bowl effect of sunshine. Originally designed with rear wheels 20 inches apart to obviate the need for a differential, tax laws in various countries gave a break to a three-wheeled version, and sales of those units predictably soared. British-built Isettas added a pickup version and a full convertible. All Isettas have a sliding sunroof, supposedly so occupants could get out if the front door jammed. Most Isettas are left-hand drive, as moving the wheel to the right side meant that driver and engine were on the same side of the car, impractically necessitating ballast on the left. Most BMW Isettas sold in the U.S. survive. For many years BMW was embarrassed at such humble origins and did not manufacture spares, stranding survivors. That situation has been corrected, and though parts may not be cheap, they are at least available. 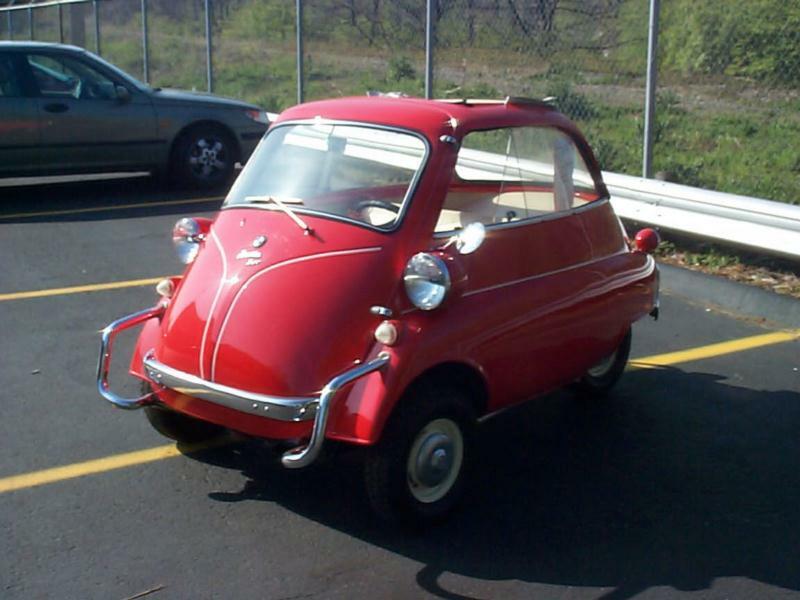 Urban practicality and concerns about the price of gas – plus the cute quotient – has made the Isetta a somewhat recent darling. Fully restored examples have topped $40,000 as high-line auctions, but driver-quality cars can still be found at entry-level prices. 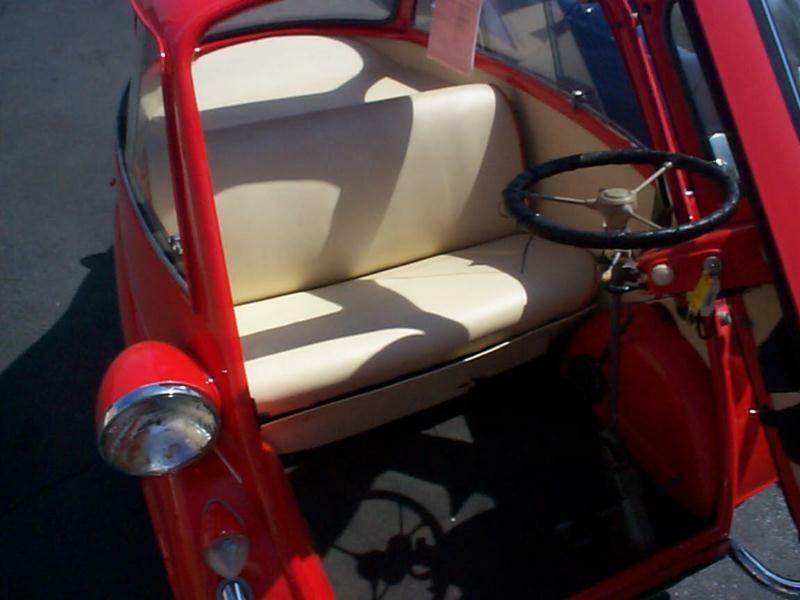 The Isetta remains a fundamentally sound design, and looks especially attractive in “Easter egg” colors. Unsurprisingly. Isettas must be considered the unlikeliest Mille Miglia entrant, competing twice, in 1954 and 1955, so add event eligibility to the car’s list of attributes.